.30-30 Winchester 160 Grain Hornady FTX~ The .30-30 Winchester/.30 Winchester Center Fire (7.8×51mmR) cartridge was first marketed in early 1895 for the Winchester Model 1894 lever-action rifle. The .30-30 (thirty-thirty), as it is most commonly known, was the USA’s first small-bore, sporting rifle cartridge designed for smokeless powder. 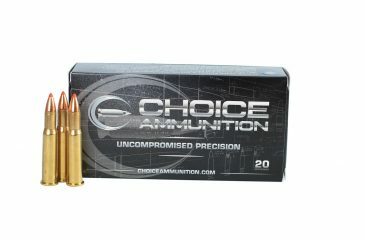 The .30-30 is considered to be the “entry-class” for modern big-game hunting cartridges, and it is common to define the characteristics of cartridges with similar ballistics as being in “.30-30 class” when describing their trajectory. While it is very effective on deer-sized and black bear-sized game, most commercial loadings are limited in effective range to about 200 yd (183 m) for that purpose, except when using ballistic-tip ammunition. Our 100% Hand-Loaded 160 grain FTX rounds are loaded with extremely tight tolerances, producing highly accurate, consistent and reliable performance with each and every shot! Our proprietary load formulas and loading process create the finest round of ammunition available on the commercial market today we feel. If you don’t load your own ammunition- let us do it for you! Hornady FTX bullets revolutionized lever gun ballistics, creating a new level of performance for these popular firearms. Lever gun enthusiasts can now harness the accuracy, power and long-range performance of a tipped bullet that’s safe to load in tubular magazines. Hornady offers the same Flex Tip technology for handguns that revolutionized lever guns. Typical hollow point pistol bullets deliver good performance at modest velocities, but have a tendency to expand too quickly and sacrifice penetration at the higher velocities achieved with lever action guns.